The sports clinic at SWEAT Fitness. 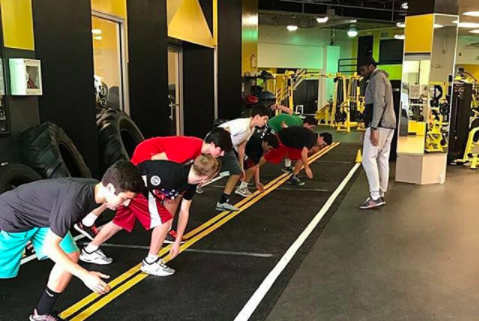 SWEAT Fitness in Conshohocken is now offering sports clinics for children and young adults. Classes are separated by age and led by certified trainers with extensive sports backgrounds. Participants will work on improving agility, endurance, strength and confidence at the clinics. "Ideal for young adults who play sports and want to expand their abilities with a focus in fundamental skills. Kids who do not participate in sports are welcome to use the training sessions as a physically active after-school program, as well," according to SWEAT Fitness. On weekdays, there will be a clinic from 5 to 6 p.m. On Saturdays and Sundays, it will be 10 to 11 a.m. The drop-in rate is $25 per class. Unlimited classes are $99 per month. For a limited time, there's also a one-week free trial. Call (610) 941-3600 to redeem.